Fears of terrorism spread,as the shooting came just days after the attacks in New Zealand. 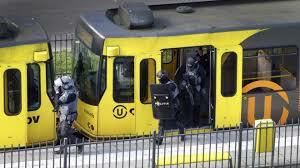 A shooting occurred Monday, March 18 in the Dutch city of Utrecht, when a man opened fire on a tram. At least three people were killed in the incident and five are injured, some in critical condition. The incident occurred rather soon after the New Zealand mosque shooting. The Dutch authorities have a suspect in custody that is suspected of being responsible for the murders. Gokmen Tanis is a 37-year-old who has been in trouble with the police before, although the records of his previous convictions have not been released. He was caught by police and is suspected of committing the crime. Jan Van Zaben, the mayor of Utrecht, said that the motive behind the attack is still unclear, but many are considering a possible terrorist motive. A second suspect has also been taken into custody, although it is not clear what his involvement was during the shooting yet. During the hunt, an image of Tanis was taken from a security camera on the tram just four minutes before the shooting took place. The country was in a terror threat level 5, which is the most critical. When Tanis was captured, however, it went down to a level 4 threat. Utrecht police also said that a Renault Clio was carjacked before the shooting and was found 2.6 miles away. Immediately following the incident, three rescue helicopters arrived at the scene, and many people fled into a nearby office building to escape and take cover from the shooter. A news crew observed a tarpaulin in front of one section of the tram, which was believed to have been shielding a body. Observers also saw rescuers working on one of the wounded in the street for a very long time. The Prime Minister showed concern about the incident and a few nearby towns and cities increased their security around mosques and transit areas following the attack. The Netherlands have escaped terrorist attacks for the most part in recent years, but this attack could have very likely been carried out with terrorist motives.